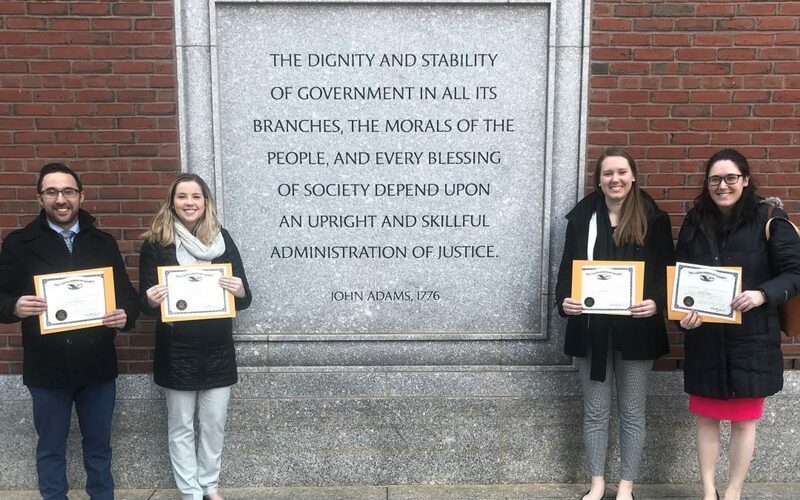 Congratulations to CMBG3’s Anthony daFonseca, Suzanne Englot, Alexandra Fraher, and Jessica Deyoe, who were sworn in as the newest members of the federal bar of Massachusetts (USDC-MA). Their admission to the federal bar adds to the level of quality service that we provide to all of our clients, as it gives us four new attorneys who can handle matters for our clients in federal court. Congratulations again to each of you! !